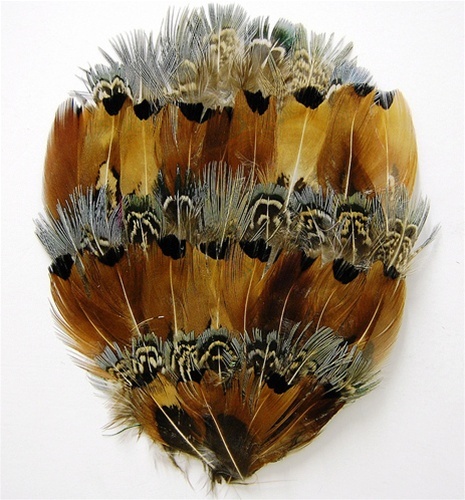 English Ringneck Pheasant Combination of Golden and Blue Hairy Pheasant Feathers. 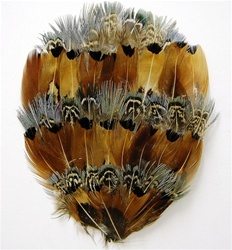 A beautiful combination of two popular Pheasant feathers. Can be used for Millinery, Headbands, Pocketbooks, Shoes and other applications. Sold by the DOZEN.